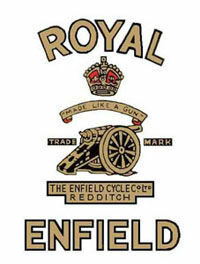 The Enfield Cycle Company was most famous for manufacturing motorcycle in Great Britain in the 20th century, but the company started to manufacture bicycle and rifle parts for the Royal Small Arms Factory in Enfield in 1890”s. That is where it got its name. This legacy of weapons manufacture is reflected in the logo, a cannon, and their motto "Made like a gun, goes like a bullet". The fist motorcycles were designed and produced at the end of the 19th century. They supplied bikes the British army mainly for military purposes on the first half of the 20th century (for WWI and WWII) . In 1949 the first new models were introduced: the 350 cc full sprung Bullet, and a 500 cc twin. The sportier alloy head, swing arm frame 350 cc Bullet was a sensation. It was the 1954 350 cc Bullet model which was to be made in India until the present (read further down). In 1953 the 500 cc model appeared, using the same bottom end. 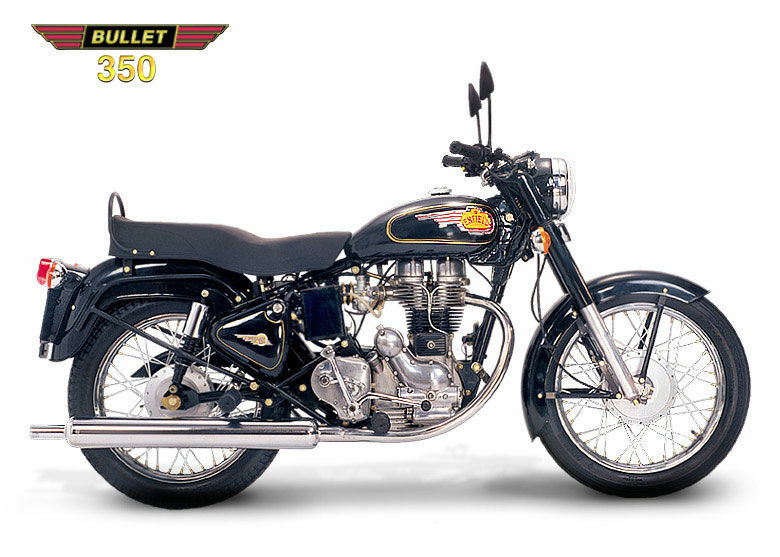 After 1956 a new frame was introduced in the British-made version of the Bullet, making it different from the 1954 model still being produced in India. The British made version was manufactured until 1964. The Redditch factory ceased production in 1967 and the Bradford-on-Avon factory closed in 1970, which meant the end of the British Royal Enfield. 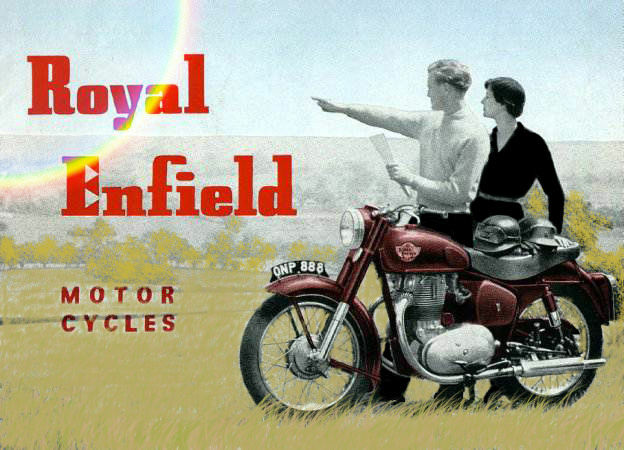 Royal Enfields had been sold in India from 1949. 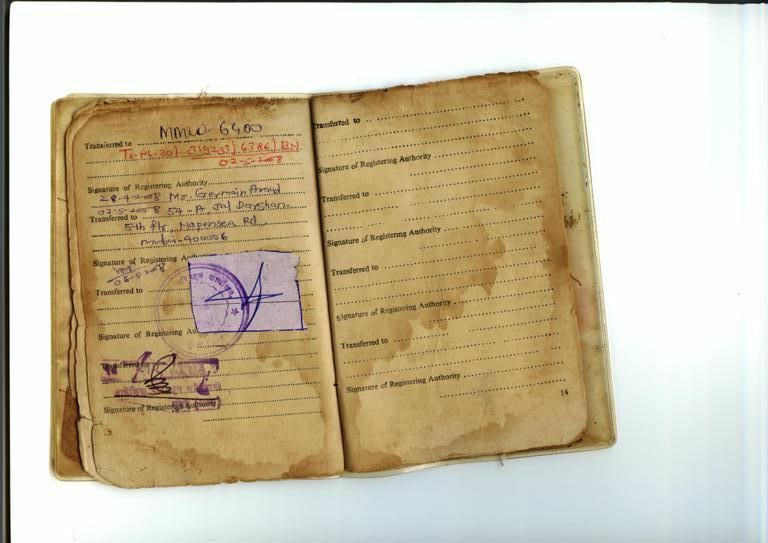 In1955, the Indian government looked for a suitable motorcycle for its police and army, for use patrolling the country's border. The Bullet was chosen as the most suitable bike for the job. The Indian government ordered 800 350 cc model Bullets, an enormous order for the time! In 1955 the Redditch company partnered Madras Motors in India in forming 'Enfield India' to assemble, under licence, the 350 cc Royal Enfield Bullet motorcycle in Madras (now called Chennai). In 1957 tooling equipment was sold to Enfield India so that they could manufacture components. The first machines were assembled entirely from components shipped from England, but by 1962 all components were made in India. The Indian Enfield uses the 1960 engine (with metric bearing sizes), in the pre-56 design frame. In 1994 Eicher Group bought into Enfield India. In late 1995, the Enfield India firm acquired the rights to the name Royal Enfield. Royal Enfield of India now sells motorcycles in over twenty countries. They are being imported into the United States, United Kingdom, and other western countries in increasing numbers, though the newer versions (2001) with electric start are becoming more popular than the 'classic' version which is little changed from 1955. There are a few changes: indicators, a 28 mmMikuni carb, 12 volt electrics, an improved seat and, since 1990, twin leading-shoe brakes. 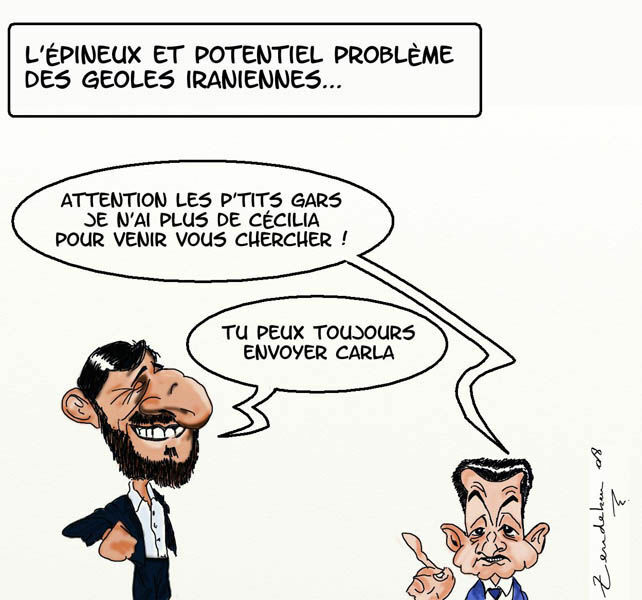 Commentaires sur What is the Bullet?